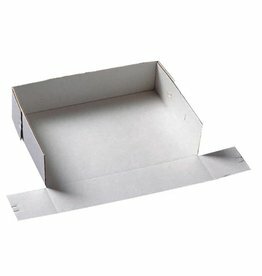 WCB20209U-S Strong corrugated trays, covers, transport boxes are perfect for large cakes, wedding cakes, and pastries. 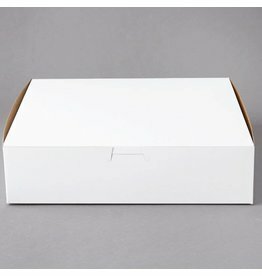 These are grease resistant and can cleanly wipe off frosting or icing. 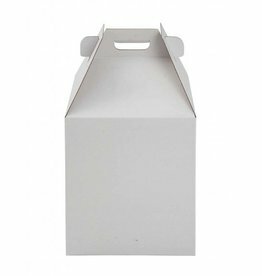 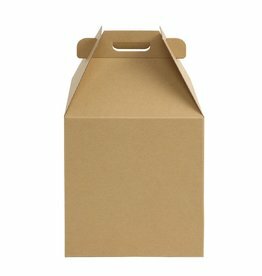 Deep White/Kraft E-Flute Plain Cake Box Use these white bakery boxes to package and transport your baked goods securely during delivery. 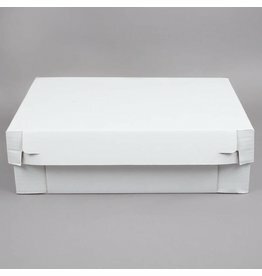 LCT18188U-S Corrugated Locking Tray - 18 x 18 x 8"
LCT26184U-S Lock Corner Tray - Full Sheet - 26 x 18 x 4"
White/Kraft Plain Pie Box - Use these white bakery boxes to package and transport your baked goods securely during delivery. 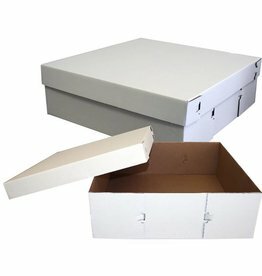 CT1803U-S Tape fastener Tray - 1/2 sheet (single) - 18 x 13 x 3.5"
Corrugated Tray Bottoms have a coating that is stain and grease resistant so you can cleanly wipe off and you can ice the cake right on the tray. 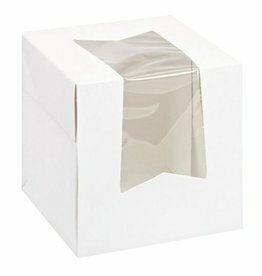 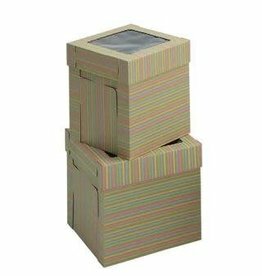 Cake box - Corrugated w/window 8" - Deep White/Kraft E-Flute Plain Cake Box with window. 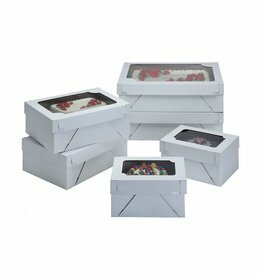 WPTC1618WKE-S Strong corrugated trays, covers, transport boxes are perfect for large cakes, wedding cakes, and pastries. 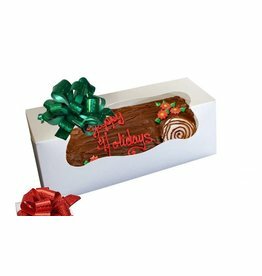 These are grease resistant and can cleanly wipe off frosting or icing. 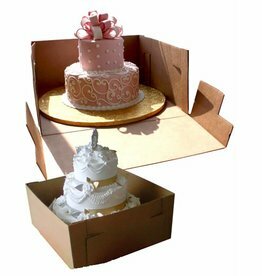 Strong corrugated trays, covers, transport boxes are perfect for large cakes, wedding cakes, and pastries.